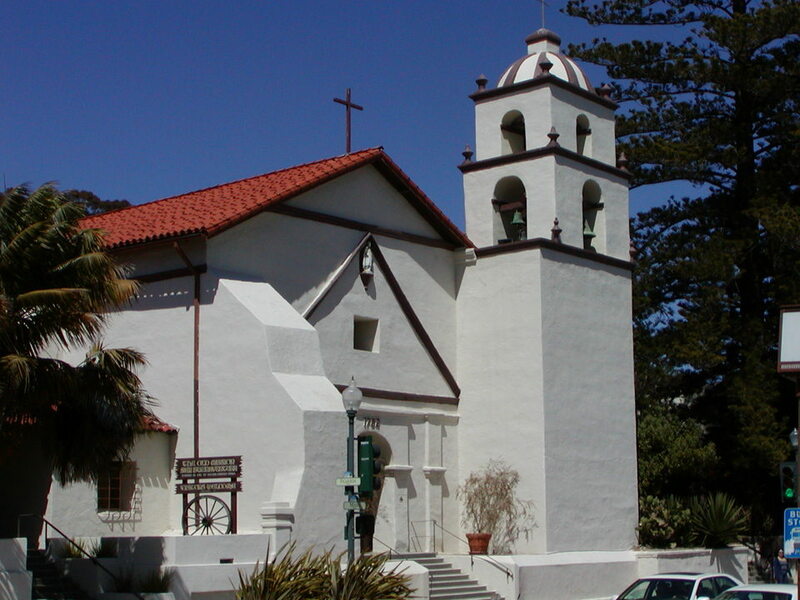 Mission San Buenaventura was founded 31 March 1782 (9th in order) by Blessed Junípero Serra. The mission is named for Saint Bonaventure. The Indian name was Miscanaga. The present church is restored and includes a museum. The church is active. The mission is at 225 E. Main Street in Ventura. Southbound on U.S. 101 take the Main Street exit just before entering Ventura (keep to the right along the coast and you can’t miss it). Northbound on 101 exit at California Street, go North (right turn) a couple of blocks to Main Street, then left on Main to the Mission (California Landmark 310).